We are industry leaders in importing American cars into the UK, we are experts in the required modifications, testing and registration process for any US-spec vehicle. To get a car out of the USA you will need an original title / registration document. Without this it can take a lot longer to get the car exported. If you are just buying the vehicle now you do not need to transfer the title into your name, the bill of sale will prove transfer of ownership from the seller to yourself. If you have already owned the vehicle in the USA the title will need to be in your name and clear from any loan / lien. If there is still finance on the vehicle it will need to be either paid off or have a letter from the lienholder stating they are OK with the car being exported. The USA is a very big place which makes transporting a car across states a very difficult task. We only use A* rated hauliers to make sure your vehicle is moved from the US address to the closest port as safely as possible. Journey times can often be days rather than what we are used to here in the UK of hours! Our specialist handling teams will securely load your vehicle into either a 20ft dedicated container or a shared 40ft container. We only ship cars in our containers for the safety of the vehicles inside. We do not ship cars by RoRo or roll-on-roll-off. 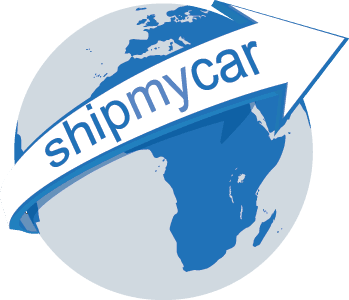 All imports from the USA will be subject to import duties and taxes unless you have owned the vehicle at least 6 months and lived in the USA at least 12 months, we handle all customs formalities for you ensuring you pay no more than what you should. If the vehicle is older than three years old then it will need an MOT test as well which checks road-worthiness for example the tyres and suspension components.